With the current warning of potentially the worst rain across the state in 20 years, now is the time to hastily dust of your disaster readiness and disaster recovery plans to ensure that everyone stays safe and business continues as well as possible, given the incoming rain. 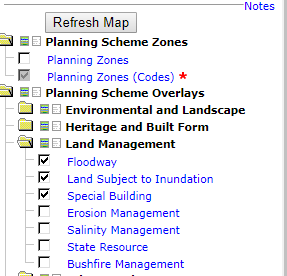 Remove the Planning zones and open up the land management folder and select floodway, land subject to inundation and special buildings. Then click refresh map. How to use the Landata Victoria maps to show flood risks. 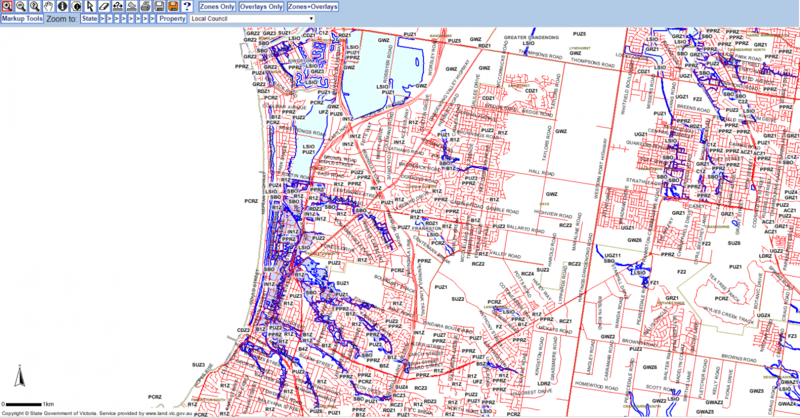 Using the LANData map will give you an indication of the areas likely to flood in Frankston and Mornington. The State Emergency map as of 08:30 on Friday morning, showing the large number of flood warnings covering the Frankston, Dandenong and Mornington Peninsula areas. Risk to movement throughout the state. Flooding will cause issues for businesses needing deliveries, doing deliveries or getting staff out onsite, as well as getting the team into work. Check the Vic Roads map for latest closures. 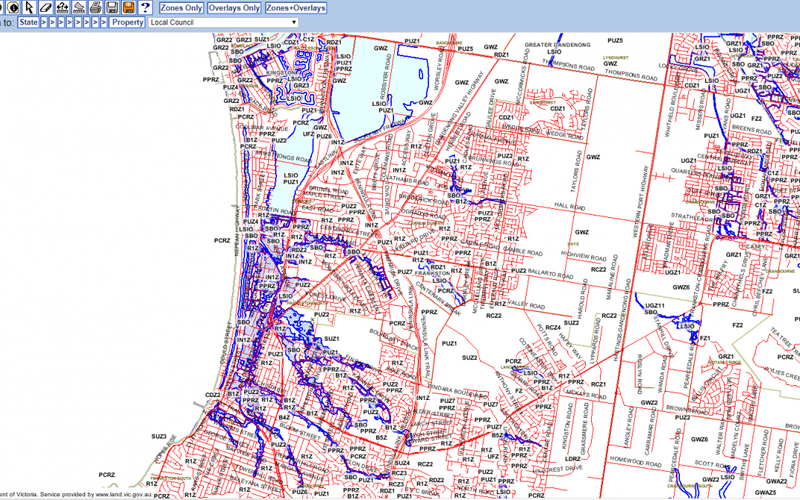 This Vic Roads map shows road closures and road works. We are all used to large amounts of road works! Avoid parking in basement car parks. Look at the flood maps, but also assess for localised flooding. Water may build up faster than it can run off and low areas and buildings can be effected. Move all sensitive equipment (like servers) up off the ground and above the expected peak level. 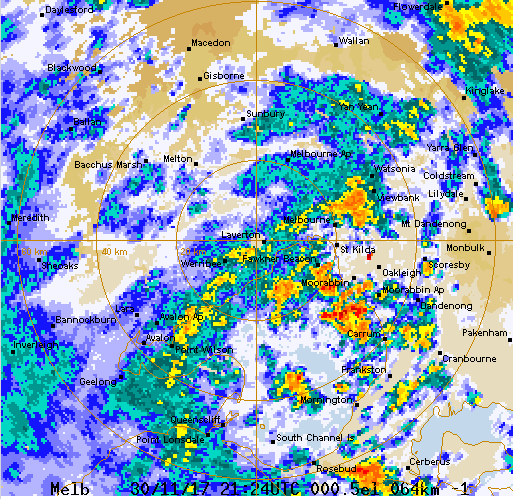 The Bureau of Meteorology rain radar map. The LANData Victorian map which can show areas prone to flooding. The State Emergency map detailing current emergencies and warnings. 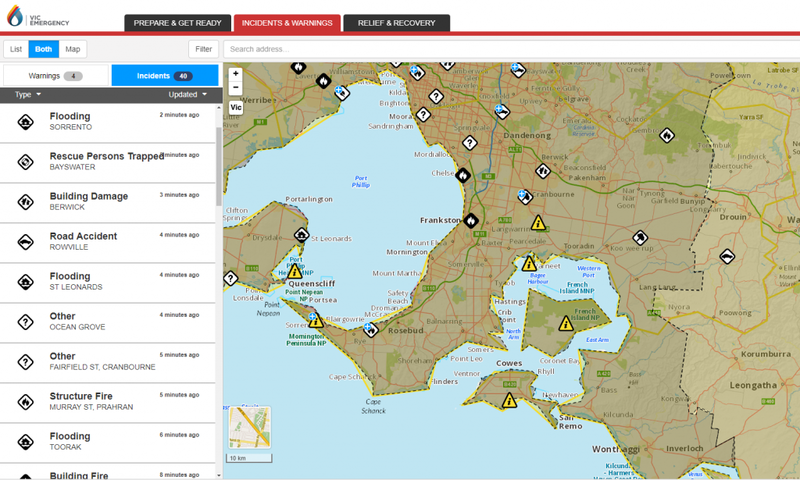 Vicroads Map of road closures.